Partick Thistle will appeal against the yellow card shown to Ade Azeez for diving against Celtic. 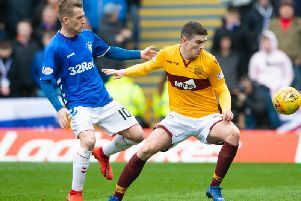 The 22-year-old Jags forward was cautioned by referee Craig Thomson for going to ground at Firhill as he went past Hoops goalkeeper Craig Gordon when the visitors were leading 3-1. Azeez has been quoted in several newspapers as saying: “I felt the contact and that’s why I went down, but I think they got in the referee’s ear and the ref’s just crumbled and booked me for diving. Celtic went on to win the Ladbrokes Premiership clash 4-1.